Anti Terrorist Squad ( ATS ) , Mumbai had informed RBI about the seizure of 345 Counterfeith notes of Rs 1000 denomination in the series of 2 AQ and 8 AC , bearing the signature of Dr. Y V Reddy. The seizure was from 4 persons who belongs to West Bengal and Jharkhand. These notes and very similar to genuine notes. 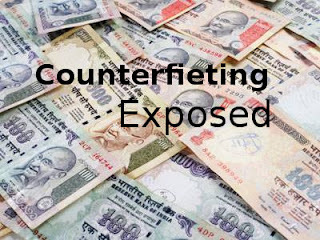 This is the first time that counterfeiting of high denomination notes from the 2005-2006 series (notes with new, strengthened security features like optically variable ink and colour shift security thread) has been brought to the RBI’s notice. More than 2.00 CR duplicate notes worth Rs.2, 000 CR have already entered India . Reserve Bank of India ( RBI ) has informed all banks across india regarding this and had advised not to accept such notes. Copy of this circular from RBI is also attached. Please read & pass it on to Family & Friends. Please note : knowingly passing on a fake currency note is an offence under sections 120-B, 420 and 489-A, B, C & D of the Indian Penal Code.